The Kaari wall shelf with integrated desk by Artek is part of the innovative collection by Ronan and Erwan Bouroullec, whose idea is based on a converted table leg, which in its new function serves as a bracket for the tabletop. The shelf offers space to work on three levels and is a practical storage space for folders, books or decorations. The slim shelf is particularly suitable for small spaces, since it fulfills a 2-in-1 function by combining two pieces of furniture in a space-saving yet elegant manner. 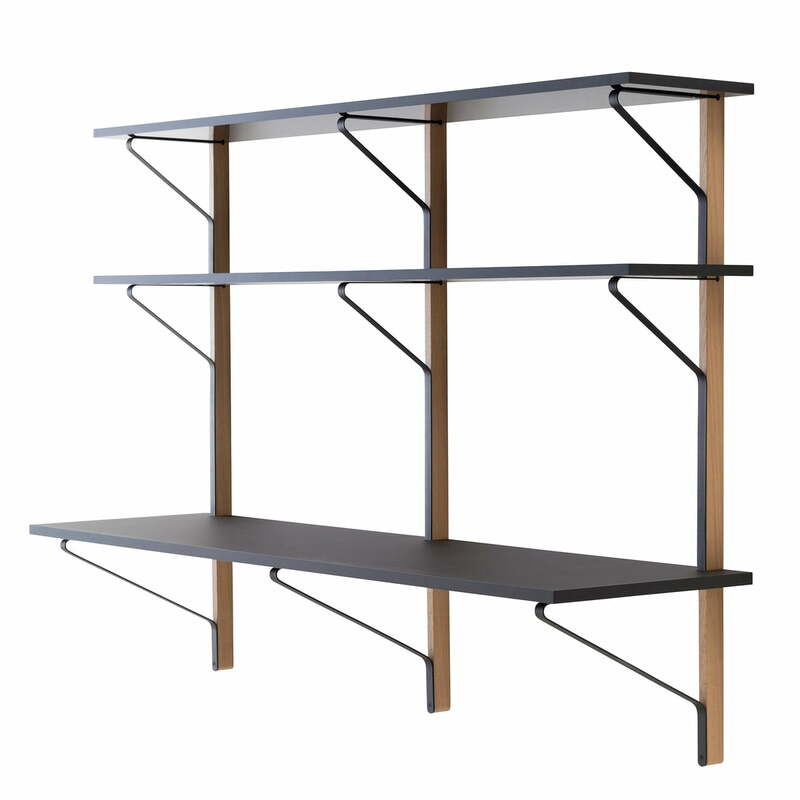 Diagonal, curved steel struts give the tabletop and wooden shelves horizontal stability. The combination of solid oak and delicate wing-shaped metal give the wall objects a surprisingly light appearance. The surface of the three boards consists of linoleum and a high pressure laminate (HPL) that absorbs or reflects light in different ways. Over time, these materials form a very special surface. 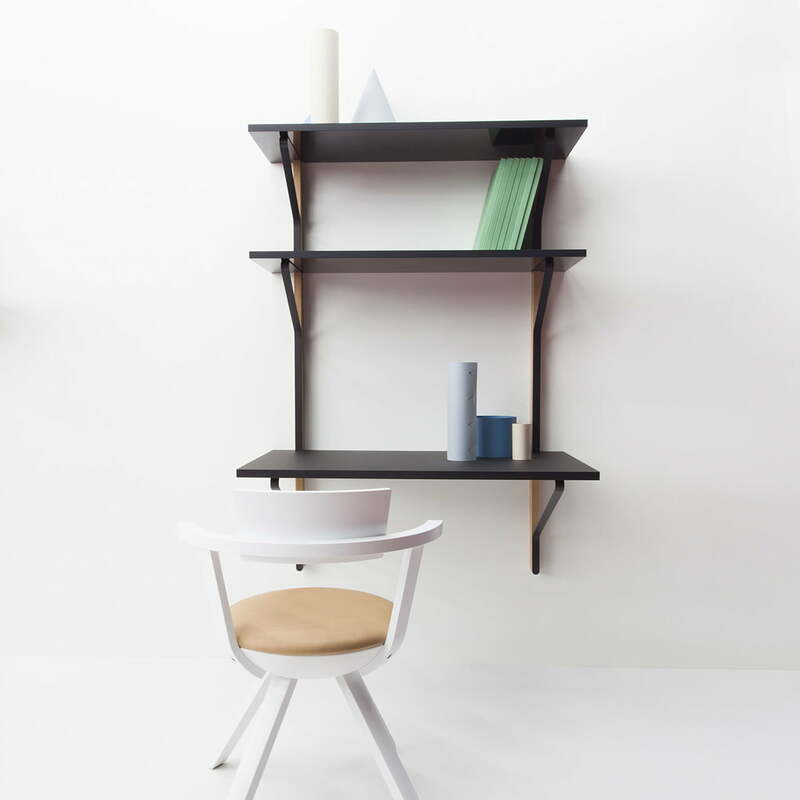 The wall shelf with desk is available with a length of 100 cm or 200 cm. 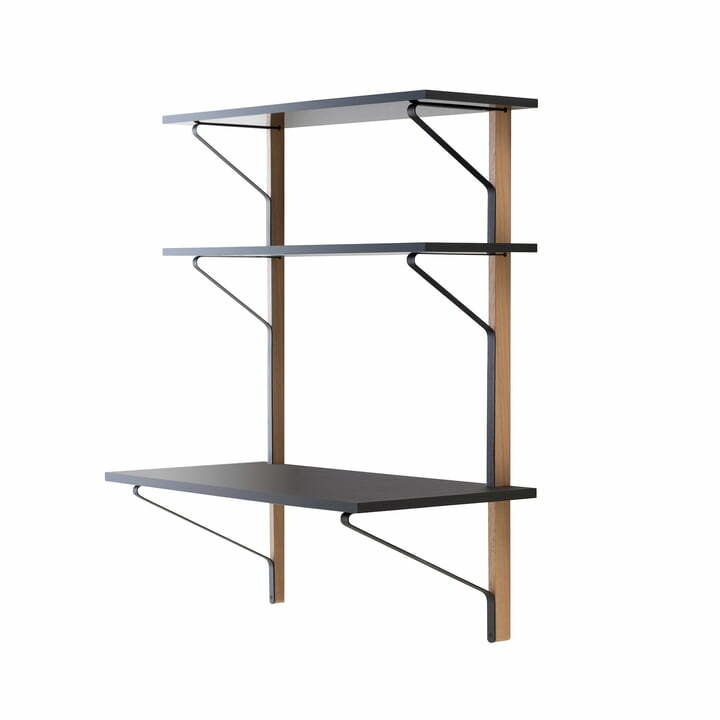 REB 010 Kaari wall shelf with desk 100 cm by Artak in black / natural oak Diagonal, curved steel struts give the tabletop and wooden shelves horizontal stability. REB 010 Kaari wall shelf with desk 200 cm by Artak in black / natural oak: The shelf offers space to work on three levels and is a practical storage space for folders, books or decoration. 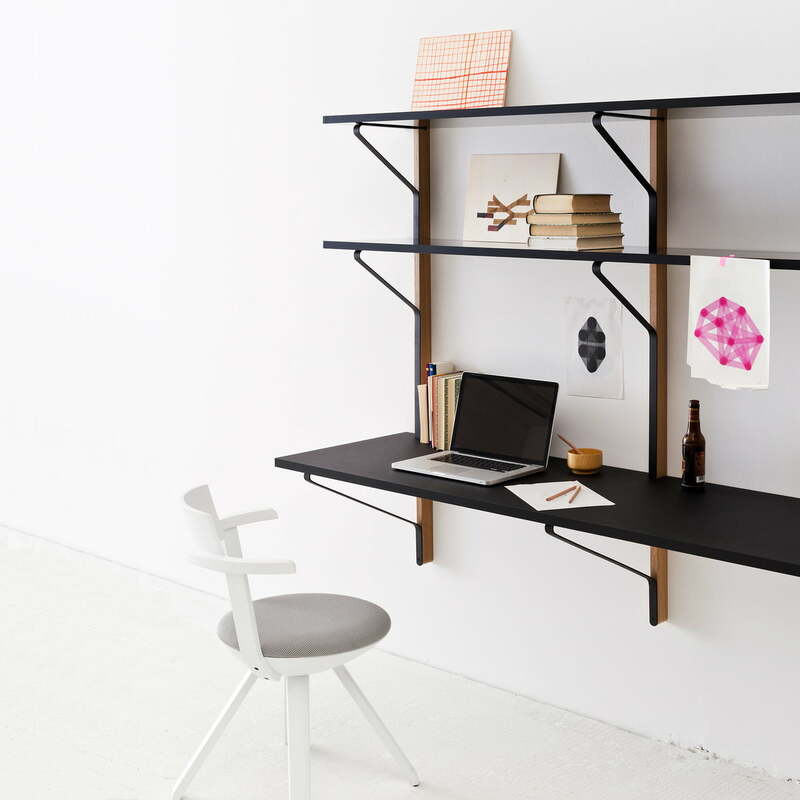 Kaari Wall Shelf with Desk by Artek: The combination of solid oak and delicate wing-shaped metal give the wall objects a surprisingly light appearance. The Kaari wall shelf with integrated desk by Artek is part of the innovative collection by Ronan and Erwan Bouroullec, whose idea is based on a converted table leg, which in its new function serves as a bracket for the tabletop.